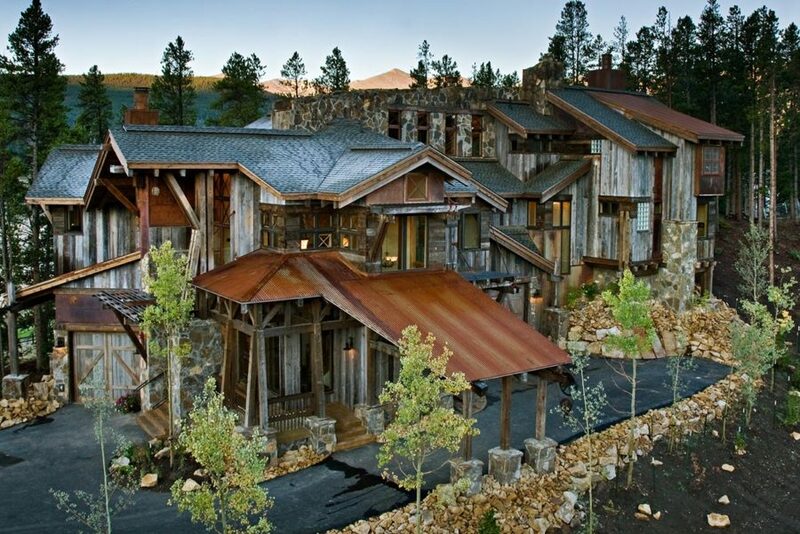 A unique Mining Themed Home designed and built by Trilogy Partners in Breckenridge, Colorado on the Breckenridge Golf Course. 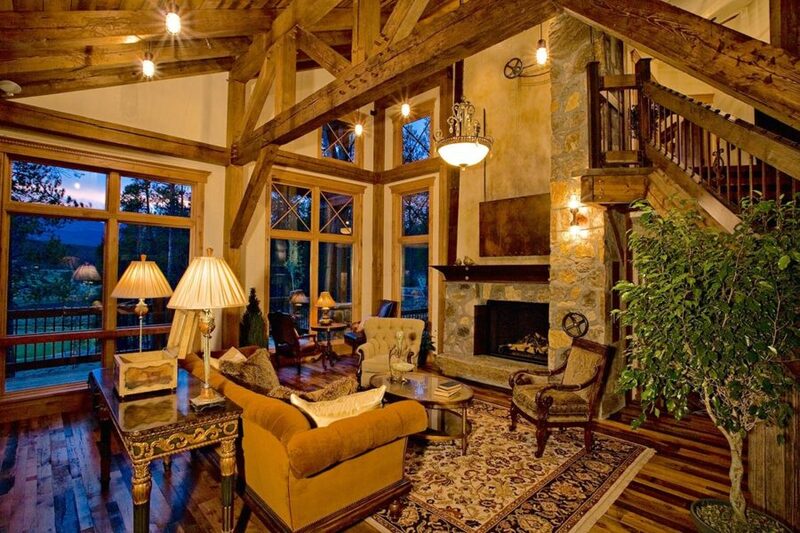 This home was the grand prize winner of the 2008 Summit County Parade of Homes winning every major award. Also featured in Forbes Magazine. All exterior finishes are of reclaimed barn wood and authentic timber frame structure. Interior by Trilogy Partners, additional interiors by Interiors by Design. Inspiration: An Englishman leaves his country to seek his fortunes in the silver mines of the American West. He strikes it rich and converts on his minig structures into a magnificent home worthy of his love, Calista, hoping to woo her from England to America. 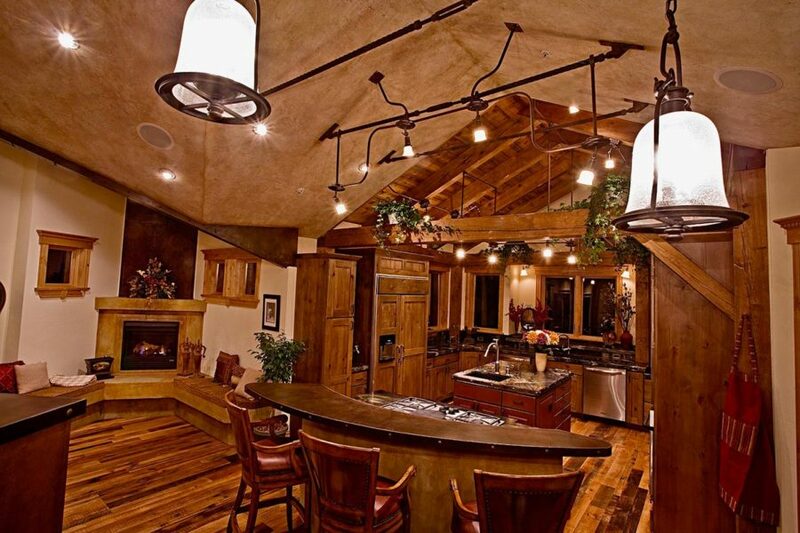 This home reflects the golden era of Colorado mining in a bold and glorious fashion. A vaulted, open living area features an antiqued timber frame with antique wood clad ceilings, rejuvenated old wood floors, hand forged steel accents, granite, cut sandstone and exposed concrete floors and walls that have been stained and aged. 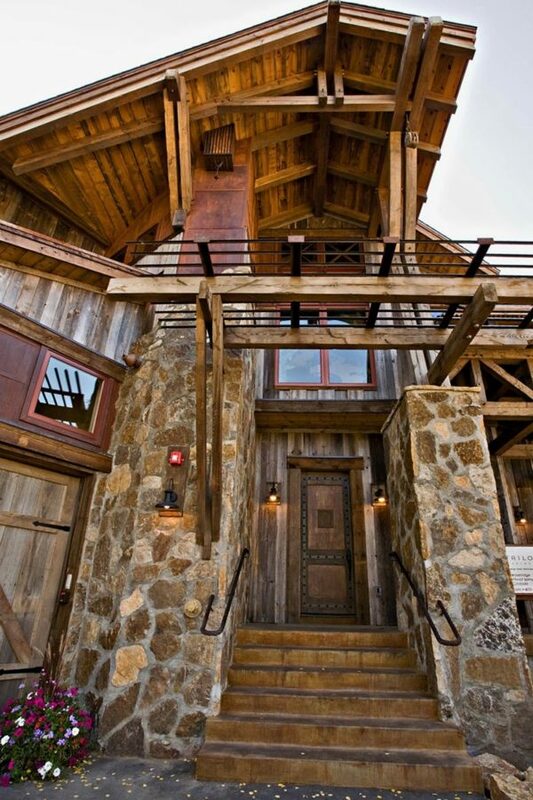 Hand hewn beams, old gray and brown board siding, recycled ski lift cable accents, and “miner’s smear” stone work on the exterior create that look and feel of the bygone miner’s era. 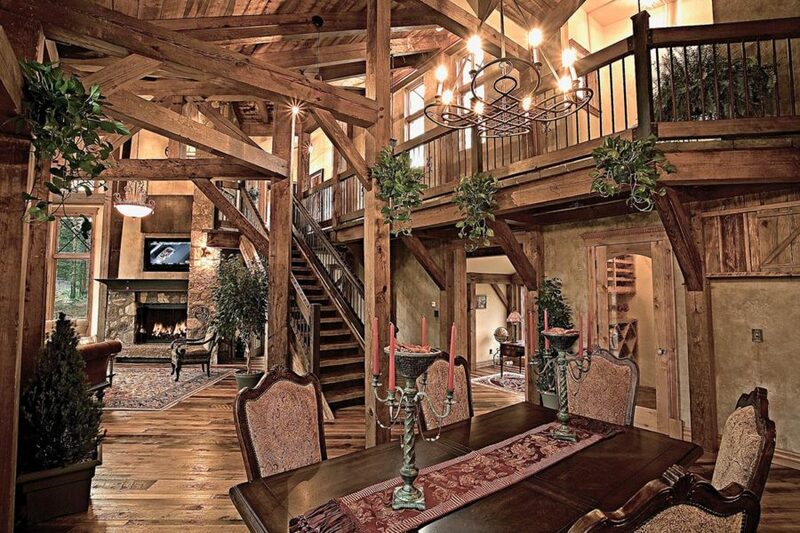 A mine shaft elevator serves all three floors of the home. Victorian era style furnishings and finishes complete the periods look and feel. 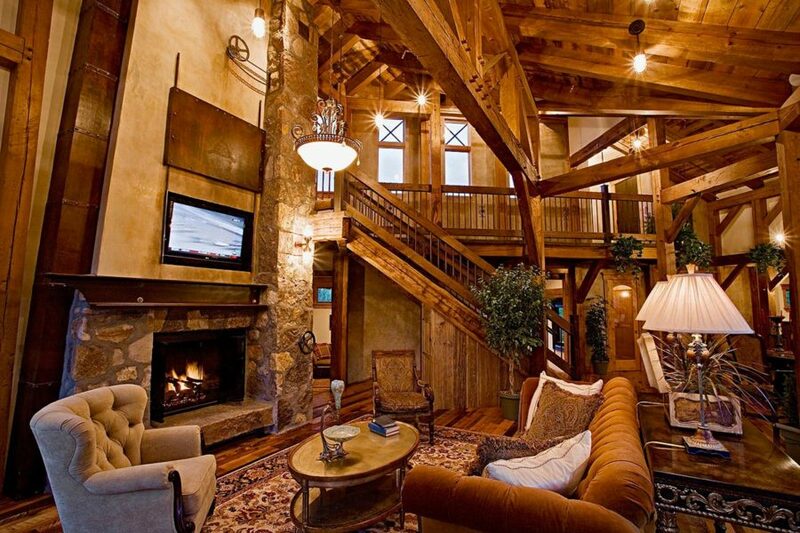 All elements combine to form a symphony that embraces mountain history and modern mountain living. This home is also incredibly energy efficient combining passive solar design with SIP panel construction. An air exchange and management system provide optimal indoor air quality throughout the winter months. 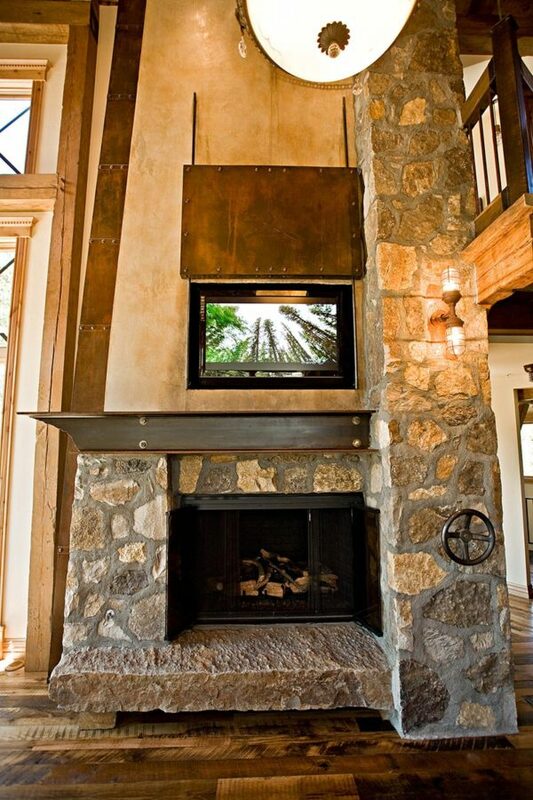 This is the MOST award winning home in the history of the Summit County Parade of Homes capturing 9 awards including the award for Energy and Sustainable Design.